On Sunday, January 20, 2019, age 80, of Millvale. Wife of the late Joseph D. Dugan. Loving Mother of John "Jack" (LuAnn) Dugan, Debbie (Dennis) Dugan Blakeley and Mike (Sue) Dugan. Grandma of Melissa Mason, Kelsey, Rachel and Caitlin Dugan. Sister of the late Robert (Celene) Dumont, and John "Jake" Dumont. Sister-in law of Madeline Hughes and Anceda Dugan. Also survived by many nieces, nephews, and cousins. Dear Friend of "Pappy Joe" Herman Korosec. Friends received Thursday 1-4 & 6-8 PM at the Hahn FH & Cremation Services Inc. 123 North Avenue, Millvale. Mass of Christian Burial Friday 10 AM Holy Spirit Church. Violet was a true Steeler fan and enjoyed celebrating her Irish heritage. 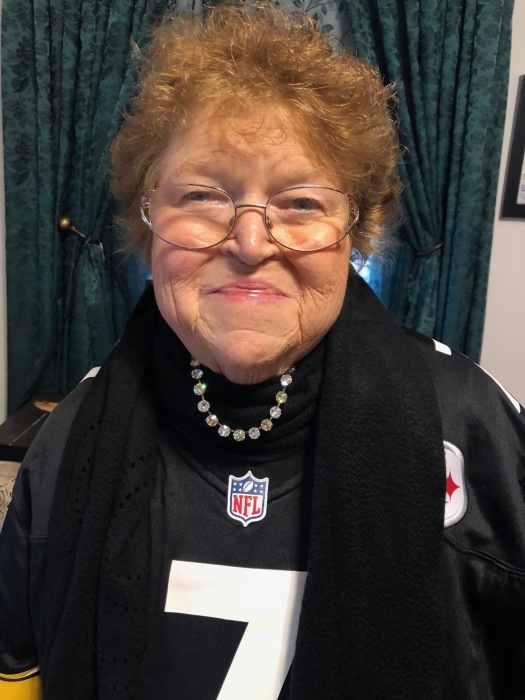 She loved her family and going to camp at Pymatuning, where she spent time with her friends whom she considered family. Family suggests donations to the charity of your choice.